We are a group of physicians dedicated to providing the highest quality medical care to Dillon County and its surrounding areas in South Carolina and North Carolina. Our mission, when our doors first opened over 25 years ago, was to serve patients thoroughly and compassionately in a partnership that aspires to keeping people healthy. This remains fundamental to our practice today. 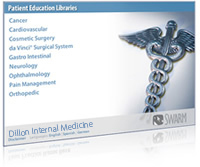 As internal medicine doctors, we use our extensive medical knowledge to care for the whole patient. In our office, we treat acute and chronic illnesses, conduct screenings, and emphasize preventing disease. Since illness can strike at any moment, we believe in being available to our patients at all times. We welcome patients with and without scheduled appointments. We value relationships with local industry and treat work-related accidents 24 hours a day. We believe in keeping pace with technology. Our office is fully equipped with electronic medical records, digital X-ray capabilities, the latest heart ultrasound machine, an advanced nuclear stress test scanner, endoscopy equipment, and an on-site laboratory. Our internet website enables patients to access our office anytime. The health of our community is as important to us as the health of our patients. We support our civic organizations, local charities, and sports teams. 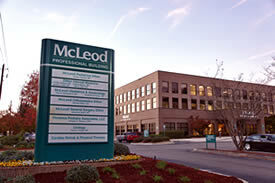 We also endorse McLeod Medical Center-Dillon and its endeavors. Our active and continuous collaboration ensures that McLeod Medical Center-Dillon will provide first-rate health care to the residents of Dillon now, and for years to come. Our patients are our passion. Our staff is friendly, responsible, and sensitive to patient needs. Every effort is made to maintain the highest standards of patient privacy. 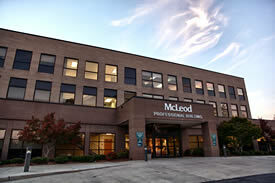 We strive to deliver the most advanced medical services of today in an office with small-town familiarity. New patients are always welcome. Extended Hours Available. Every other Monday thru Thursday 5-6:30pm. Extended Hours Available. Please call the office or speak with the front office team about specific dates. 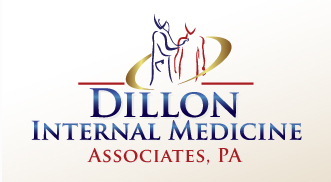 © 2010 Dillon Internal Medicine and MedNet Technologies, Inc. All Rights Reserved.